Many authors struggle with place when they first start out, laboring to describe exotic locales that they have never visited or ventured to briefly years ago on vacation. The thinking is that gritty crime dramas have to be set in large, dark cities like Hong Kong or London. Spy thrillers take place in faraway locales like Istanbul or Bucharest. Westerns in West Texas. Romance novels in the Caribbean. However, a lack of detail or make these novels flat and uninspiring. Writers’ block ensues. Eventually, authors realize that the advice to “Write what you know” is a cliché for a reason. Setting novels in places where the author is familiar gives the story a sense of believability and helps readers put themselves in the shoes of the characters. Details that only a local would know allow places to become characters until themselves. Think of Mark Twain’s Hannibal, Missouri. Charles Dickens’ London. Garrison Keilor’s rural Minnesota. How about Matthew Iden’s suburban Virginia? 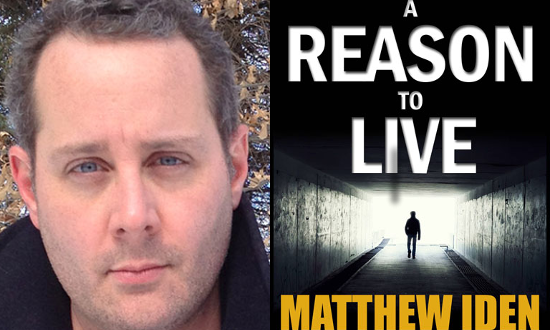 Matt is our latest IndieReader Author Spotlight. Starting today and running through September 15, Matt will be mapping the places in his Marty Singer detective series. A retired cop from Washington, D.C. takes his skills to the Virginia suburbs in an effort to right some of the cases that continue to haunt him at night. Matt will also be mapping his other suspense and fantasy novels. Check out Matt’s conversation with Tim Knox on the Placing Literature podcast (we’ll post next week) and follow Matt’s mapping progress throughout the month on PlacingLiterature.com. This entry was posted in Uncategorized on August 15, 2014 by andrewbwilliams.